What are chives and how can you use them in your cooking ? Chives are an herb that is very commonly used in cooking but most people do not know what this herb actually is or where it comes from. While it’s easy to buy it dry or fresh in the store and also to grow in a home garden, knowing what the herb is and how to use it is important so you can be sure that you are correctly flavoring your food the best that you can. The scapes(stalks), leaves, and the edible flowers and buds can be used in cooking, although it is much more common for people to cook with the green scapes or leaves. The chive plant is perennial and grows from a bulb. The hollow leaves and scapes are easily recognizable due to their shape and bright green color. They do a great job at repelling most insects and so can be used to repel pests in the garden but their flower is sweet enough to attract bees so there shouldn’t be any concern over pollination. The scapes and the leaves of the chive are much milder than other plants from the same species and are used traditionally in the cooking from many countries, including Sweden and France. While they are often used to add flavor to a dish, they also are a beautiful green color and add a pop of color when sprinkled over the meal to improve its presentation. Using chives only as a garnish, unfortunately, means that you will be missing out on a lot of the amazing flavor that this herb can bring to a dish. Due to how delicate this herb is, it is generally added right at the end so that the flavor is not ruined by high heat. When buying fresh chives at the grocery store, you want to make sure that you are getting high-quality herbs for your food. Look for chives that are fresh by buying ones that are uniform in size, appear evenly green without light or dark patches on them, and smell fresh and bright. Any yellowing or drying of the chives indicates that the flavor will not be as strong and that you may end up with an unpleasant aftertaste in your food. While you can buy dried or frozen chives and they will work in a pinch, they do not offer the bright flavor that is so pleasant from fresh chives. There are a few substitute for chives available; some people do attempt to use the greens from scallions, although this will lend an onion flavor to the dish that is not present with real chives. 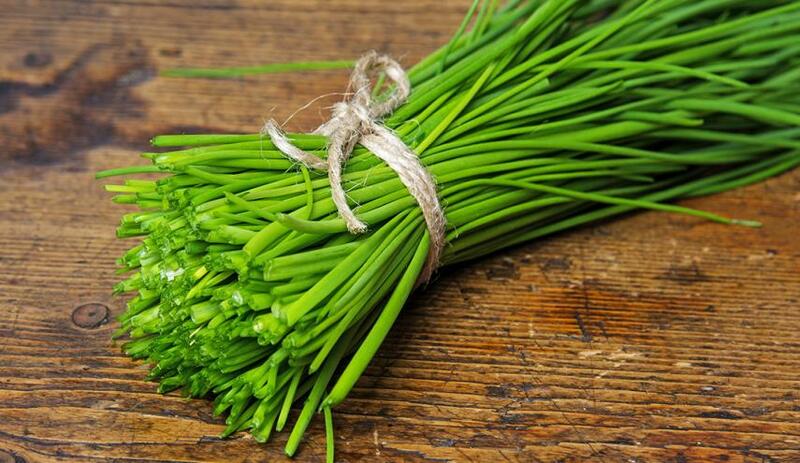 Once picked, chives will begin to wilt right away and will not taste as fresh so you will want to do everything possible to keep them as bright and green as possible before you are able to use them. Place the chives in a glass of water covered with a bag in the refrigerator or store them flat in a resealable bag in the refrigerator. Either way will keep the chives fresh for five to seven days, although the flavor will diminish with each passing day. It’s important that you only wash your chives right before you use them so they stay as fresh as possible. There isn’t any herb that offers the same light, bright flavor and using them in cooking is a great way to improve your flavors without a lot of effort. « Substitute for Chives – What to Use ?